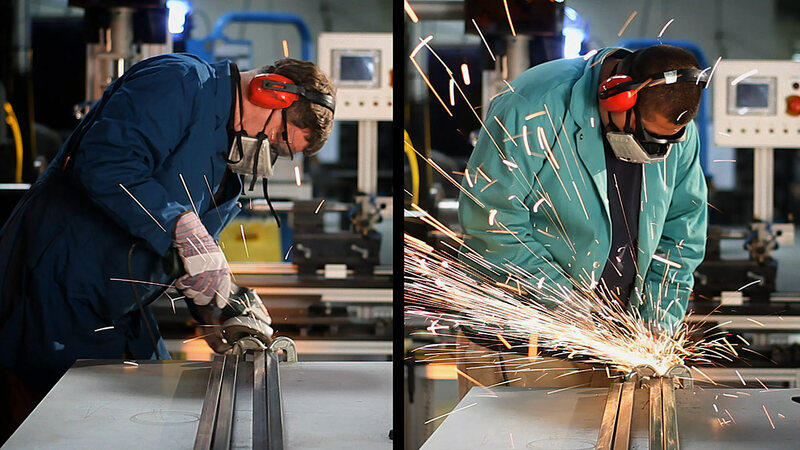 The General Tool Company approached us to produce a product video for marketing their new brand. 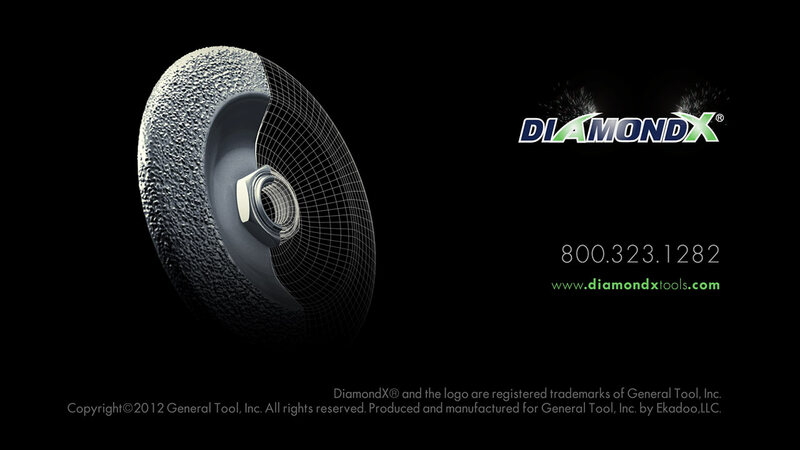 DiamondX was a new line of diamond tools for metal-grinding applications. They were more advanced than traditional abrasive wheels. The key benefits were performance, durability, and safety, so we had to reveal these attributes and highlight them in our production. 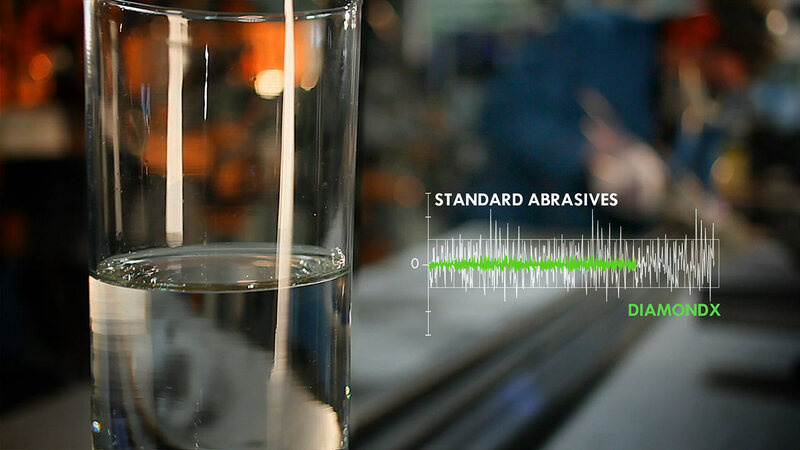 Industry professionals are well aware of metal-processing applications and their related tools. There was no need to start with the basics, such as the “how-to” procedures used by many competitors. 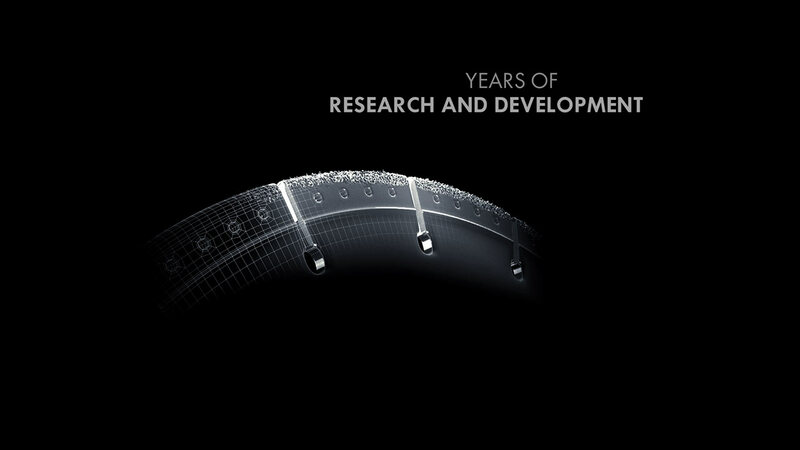 Instead, EKADOO’s creatives focused on the competitive advantages of DiamondX. When you invest in a product’s video promotion, you expect a definite result. It could sound like this: The product looks spotless; the benefits are specified, stated and supported by excellent visuals; and your audience knows where to go to get the product or what to do after watching the product video. In this sense, the recipe sounds obvious and universal at the same time. EKADOO’s production department structured the story around a selected number of benefits. 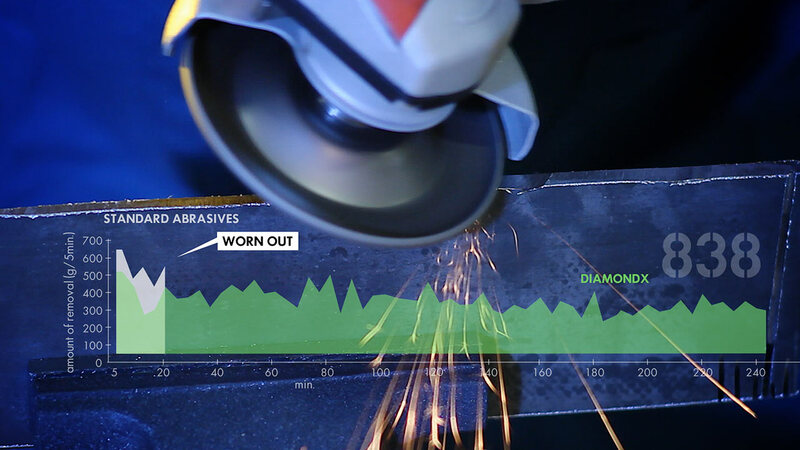 We had to find ways to visualize them to put DiamondX ahead of the traditional abrasives. By using a split screen technique in post-production, our video editor let the viewers compare and vote on the competing products. The differences became evident when seen side-by-side, so the editor’s approach was right. Our filming crew made lots of closeup shots to keep the audience focused on the product in action. Still, the green color cast produced by the ceiling lights became a problem. Such things often happen when shooting inside manufacturing facilities. So, thanks to our gaffer, who brought mighty cinematic lighting and high color contrast filters to the scene, the cast was knocked out. Apparently, he drove a five-ton truck with lights and gears to light the shooting location. Concept, Storyboards, Digital Design, 2D Animations, 3D Modeling, Rendering, 3D Motion Graphics, Video Production, Post Production, Audio Narration. Our motion graphics artists created 3D product models to reflect on the products’ design and engineering qualities. They composed 3D wireframes with photo-realistic product renderings to get the right transitions. We used them as main elements for the branded intro and call-to-action pack shots. As a result, the products appeared crisp and very detailed when rendered in 3D. That was a distinctive plus for the new brand instead of using live video for the pack shots. We knew from experience that technical data is often left unnoticed when you hear it narrated. It also needed some backing imagery. So, to display the technical info relating to the benefits, we decided to include motion graphics charts. The animator and the editor inserted them as a transparent layer over the main video storyline. 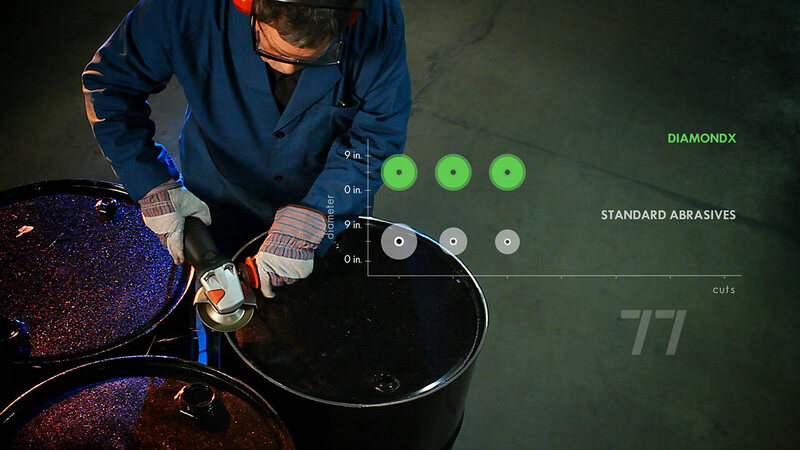 In doing so, we completed the modern outfit of the DiamondX product video.